Contact the semi-truck experts for your next semi-truck repair needs. Finding a mechanic you can trust is hard enough. Finding a mechanic who is skilled in not just engines, but also the inner workings of diesel engines and semi-trucks can be very difficult indeed! 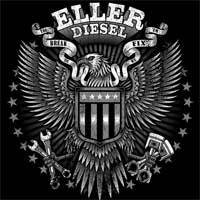 Here at Eller Diesel Truck & Trailer Repair, we want to be the mechanic for all your diesel engine needs, including semi-truck repairs, in the Salisbury, North Carolina area. Semi-truck repairs require specialized tools, equipment, and expertise, all of which we have available here at Eller Diesel Truck & Trailer Repair. Because we have been performing semi-truck repairs for decades now, when you come to Eller Diesel Truck & Trailer Repair, you can feel confident you’ll be able to drive away with a solid repair that you can count on. We have everything necessary to provide you with a proper diagnosis and repair options. At Eller Diesel Truck & Trailer Repair, we understand the anxiety you can feel when you need semi-truck repair and don’t know where to turn in the Salisbury, North Carolina area. Your livelihood can be at stake if you are unable to put those miles on the road that you need to. We believe we are your best option for everything from maintenance to diesel engine repair. Here are the top reasons to come to us for semi-truck repair. Experience– We have decades of experience. Our family-owned business started in 1991, and the second generation absorbed every bit of our father’s expertise and knowledge by working at his side. Prompt Service– We currently have 4 full-time experienced mechanics and 8 workers ready to take care of your semi-truck repair in a timely manner. We respect that every hour your truck isn’t on the road is lost revenue and you could have a deadline to meet that could cost you money and your reputation if you miss it. Engine Repair– Not all semi-truck repair shops can handle engine repair, but we can! Whether you have a CAT, Cummings, Detroit, International, Paccar or Volvo engine, we have the experience and parts to breathe some more life into a troubled engine. Certified– We are a certified NAPA truck service center, and we’ve been an accredited business with the BBB since 1998. Emergency Response– We work when you need us to with 24-hour emergency service and roadside assistance, as well as truck towing within a 25-mile area. Whether you bring your semi-truck to us or need assistance with a tow, we can help you in both cases. Our emergency roadside services mean that no matter where you find yourself in need of a semi-truck repair, we can bring your semi-truck to our shop for expert care. When you need a semi-truck repair, any time of the day or night, we are able to help with our emergency roadside assistance. When you are looking for the best experts in semi-truck repairs, you simply can’t beat our team here at Eller Diesel Truck & Trailer Repair. We would love to tell you more about why all your semi-truck repairs should be done with us. Please give us a call today if you have questions.